Recent figures released from HM Revenues & Customs show that £5.8bn of the £11.7bn in assets passed down last year were subject to Inheritance Tax (IHT). That’s a significant percentage. If you’re looking for advice on how to pass on your fortune without getting stung by excessive tax, gpfm Financial Planners can help. We have the expertise to advise you on the efficient managing (and passing down) of your estate. What are the Inheritance Tax thresholds and rates? An ‘estate’ is any savings, property or tangible assets that can be passed down after the payment of debts and funeral expenses. If your estate totals more than £325,000 at the time of your death, it will be subject to a 40% tax on anything over that amount for the 2017 – 2018 tax year. New rules that came in to effect in April 2017 make it possible to pass on larger tax-free sums to your loved ones if it includes a property that you have used as a home at some point in your life. This means if you’re passing down a home, you can gift an extra £100,000 tax-free in addition to the existing £325,000 nil-rate band. This added tax-free amount is expected to rise to £175,000 in 2020. Married couples can make use of one another’s tax-free allowance. 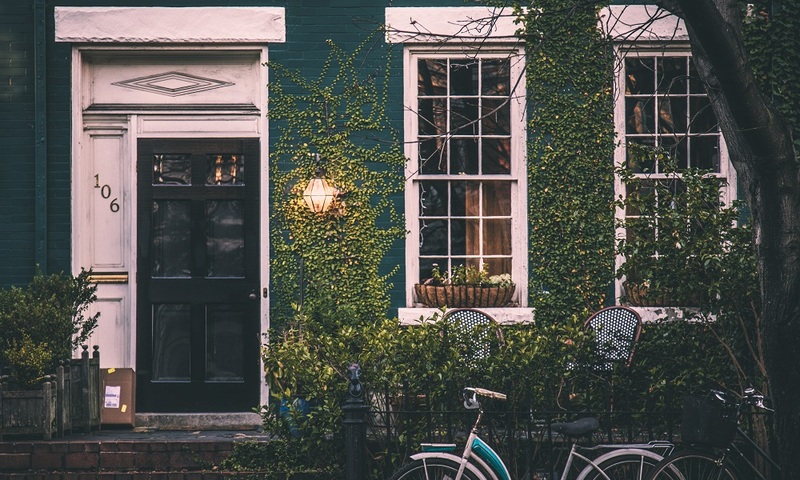 Transfers of property between husband and wife are not subject to IHT. So, if your husband dies and passes his entire estate to you, his £325,000 hasn’t been used. This allowance can be transferred to you, meaning that you may leave £650,000 tax-free to loved ones. Is there any other way to avoid Inheritance Tax? If you give a friend or family member a cash gift or other portion of your estate and you continue to live for seven years after giving this gift, the sum will not be subject to Inheritance Tax. 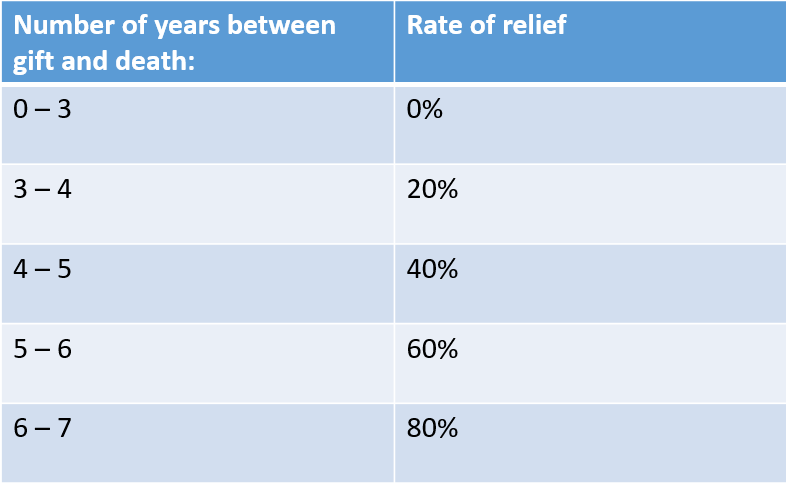 If you do not survive the 7 years, taper relief may be available. Taper relief is an inheritance tax (IHT) relief that offers a gradual reduction in the amount of IHT due on gifts made within 7 years of death. A common misunderstanding is that taper relief achieves its tax saving by reducing the transfer of value. A Trust which seals off assets for a fixed period is no longer subject to Inheritance Tax regulations. However, it is subject to income tax and capital gains tax which the Trustee will be liable to pay. This won’t reduce the amount of Inheritance Tax payable on the estate, but the pay-out will help to balance things out and ease the burden to your surviving family and friends. If you’re unsure about how to plan your finances and need advice on Inheritance Tax and everything else involved with leaving your estate, talk to a member of the gpfm Financial Planners team on 01992 500261 or email enquiries@gpfm.co.uk.